You know those songs you hear that can invoke a certain, very vivid memory? The songs that conjure up a memory of a specific location, a memorable event or perhaps a very special person? And every time you hear that song – it can transport you right back to that moment or to that feeling. You know those songs, right? After living a third of my life in the grips of an eating disorder, drug addiction, alcoholism, deep depression, debilitating anxiety, along with the inevitable time spent in courtrooms, jails, mental institutions and psychiatrists’ offices, I somehow arrived back in my hometown, unsuspectedly landing in a Kundalini Yoga class. That I actually got there was an act of pure, sweet grace. The right people were in my life at the right time and honestly, I was in enough pain to try anything… even step into a class full of people with their heads covered, sitting on sheepskins, making strange noises. After living in a world of comparisons, judgements, and competitions, the simple act of closing my eyes during the yoga was an immensely profound and healing experience for me. The breathwork brought me into my body, and it was the first time I really felt the aliveness within me. This in itself kept me coming back. 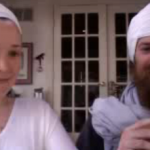 Over the next several months, Kundalini Yoga was one of the driving forces behind my recovery. The practice allowed me to process a lot of issues I’d never faced and many emotions I’d never allowed myself to feel. Consequently, many aspects started to change. The thoughts and emotions coming into my mind weren’t controlling my reaction to life anymore. I started to really feel and listen to my body. I finally was able to quit smoking and began to eat foods that were nourishing and replenishing for my body. And I remember clearly how it felt the first time mantra entered my body and opened up something within me that I had never experienced before. I had been doing Kundalini Yoga for about 6 months. I was sitting in the back row of a Sunday morning class. We had just finished an intense silent meditation. One of those painful arm “thingys” that you never think will end. I had kept my arms up the entire time. I think some of you reading this know that feeling of keeping your arms up when everything in you is telling you you can’t. Sitting satisfied in this cozy silence, my arms throbbing, this sweet sounding music started playing, seemingly out of nowhere. “Guru Guru Wahe Guru, Guru Ram Das Guru.” We were instructed to bring our hands to our hearts and to sing along. I had heard and chanted this mantra a few times before, but something about this version penetrated into my soul. The words didn’t just touch my heart, they enraptured it. The man’s voice singing was so rich and devotional, I could truly feel the essence of a greatness beyond words traveling through the vibration. It was more than just hearing and understanding the blissful nature of the mantra in my mind. I was understanding it in my heart. I was understanding it in my whole being. I started sobbing. I experienced a mixture of sadness and mourning for the part of my that life I had spent suffering, transforming into the deepest gratitude I have ever felt. This was the beginning of developing a love and compassion for myself that in turn, changed my entire attitude towards life. I was home. Finally. 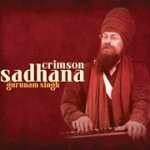 I would later find out the song was by Gurunam Singh on his album Crimson Sadhana. Immediately, I purchased the album. I couldn’t stop listening to it! In my house, in the car, at work, in an ipod when I went jogging – it was a far cry from the Britney Spears album I had previously been rocking out to. The clear, vibrant and inviting range of Gurunam’s voice made it easy for me to start learning the mantras. From Mul Mantra to Rakhe Rakhanhaar, the sacred melodies and delicate harmonies allowed me to escape into each track, discovering a new part of myself in each one. I fell in love with chanting. The mantras began to stay with me throughout the day. I started to attend sadhanas whenever I could as these mantras became my lifeline to the divine. A world and a way of living that I never thought existed started to unfold. I began opening my heart, being of service, walking courageously through fears, and picking up the pieces of my life that had been fractured and broken. 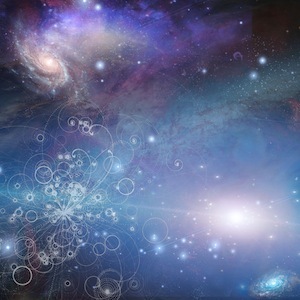 Appropriately, I was given the spiritual name Geet Anand Kaur ~ one who sings the song of bliss, or one who connects to the divine by chanting sacred mantra. If you’re up to speed on your Spirit Voyage trivia, then you may be aware that this album was released only a year and a half ago. Yes, the effects of Kundalini Yoga work fast, and the mantras are extremely powerful. “Guru Guru Wahe Guru, Guru Ram Das Guru” relates directly to the healing and protective energy of Guru Ram Das, the Guru of Miracles. My new life has been nothing short of a miracle. These are those songs. The ones that can invoke a certain, and very vivid memory. Every time I hear Gurunam’s Guru Ram Das, or any mantra from this album, it brings me back to that profound moment of healing, love, gratitude and awakening. 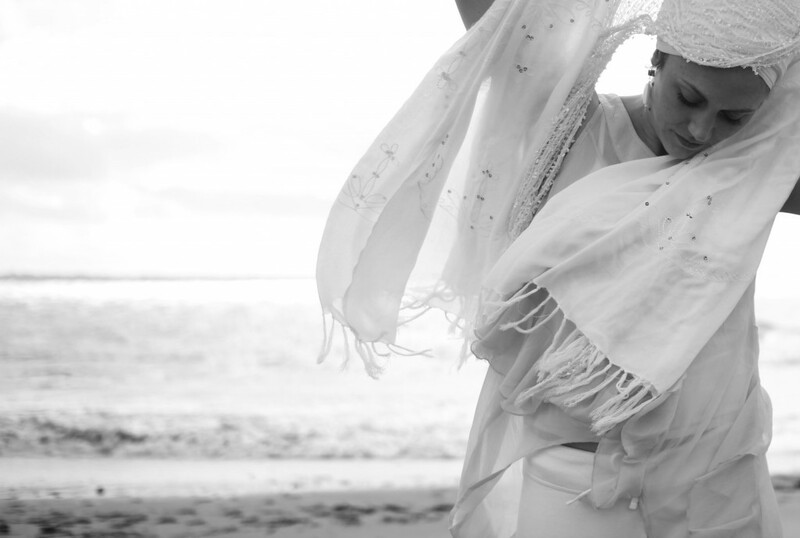 Geet Anand Kaur is a Kundalini yoga instructor currently living and teaching in Stolzenhagen, Germany.